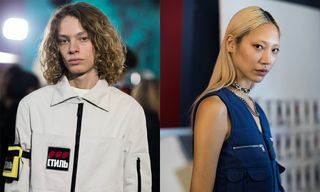 Last week, American designer Heron Preston presented his debut runway collection at Palais de Tokyo on the opening day of Paris Men’s Fashion Week. 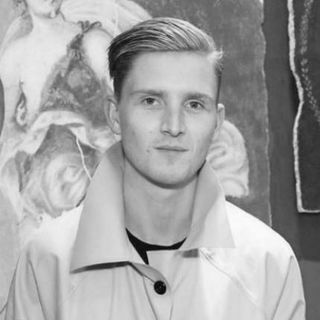 The collection, titled “Night Shift,” played into Preston’s frequent travels around the world, as well as his fascination with TSA agents and security guards. The show’s fitting setting included X-Ray baggage scanners, metal detectors and K9 dogs accompanied by heavily loaded guards. All of which gave the show a dystopian airport vibe that echoed the unregulated and unorganized airports that week in the United States, following the country’s government shutdown. Part of the collection was Preston’s sophomore partnership with UGGs. A rather unconventional collaboration at first sight. 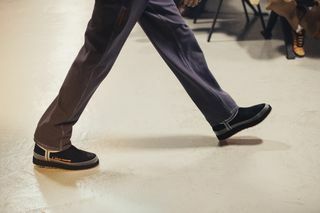 The unisex collection is comprised of three UGG styles – classic short, classic mini and its Tasman house slipper – and all come in black, orange and camel colorways. 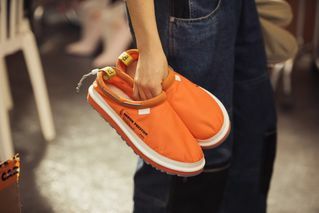 “Heron personifies everything the UGG brand stands for: bold, creative and not afraid to take risks,” said Andrea O’Donnell, president of fashion lifestyle brands at UGG’s mother company Deckers. Highsnobiety caught up with Preston after his Paris show to discuss his second collection with the Australian footwear brand and ask him about the power of meaningful collaborations. How did travel influence your second UGG collaboration? In and out of airports. I probably flew around the world 10 times this past year and that was a big part of my life. As I look deeper into the world of workwear, TSA and security agents were the runners-up for this concept. That’s where it all started. I see [the collaboration] as a future TSA uniform. 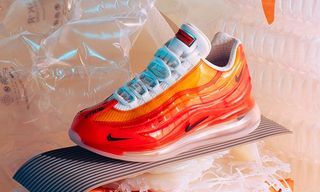 These are more designed than the first collection? Yeah, they’re updated and remixed. 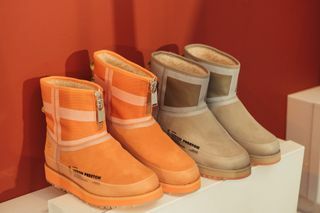 They have the “Pull” tab and now they have ice bottoms with my orange sole and the orange branding from my own label. They come in a few different colorways. I also wanted to do a house slipper. I get the need for driving novelty, but product collaborations seem so oversaturated now. How do you approach and choose your partners? What makes a collab meaningful? It has to be authentic, it can’t be forced or contrived. This collaboration came from the strength of an Instagram post. I was in Milan and I literally had just rolled out of bed and went to my studio and put some UGGs on. It was a grey day like this and I just wanted to wear something comfortable; I had just partied all night. I was feeling my outfit a lot and one of my friends that had just started working with UGG saw the photo and said we should work together. That’s how it all started. A collaboration for me needs to start from this [type of] organic place. How does the collaboration fit into the wider growth strategy of your brand? It’s about introducing something new that’s fresh. Both for men in general and for luxury streetwear’s [role in] fashion. My brand stands for pushing boundaries and possibilities and introducing new stories. 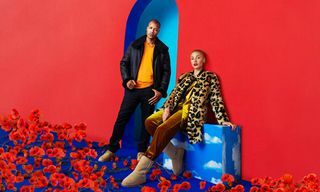 The story of UGG hasn’t been presented in a way yet where people in our culture get excited about it. How do you make it relevant for our culture? It’s really hard. 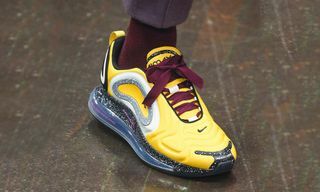 I didn’t know how to pull them off honestly until I saw someone in New York wear them in a really sick way. I think he had some camo cargos pulled over the boots and it looked fresh. I went to buy a pair the day after. Streetwear is evolving, we’re seeing a lot of tailoring and things that aren’t just streetwear anymore. Same with this UGG’s collab. Exactly. Streetwear is graduating from where it’s been [and] that’s where I’m trying to push.